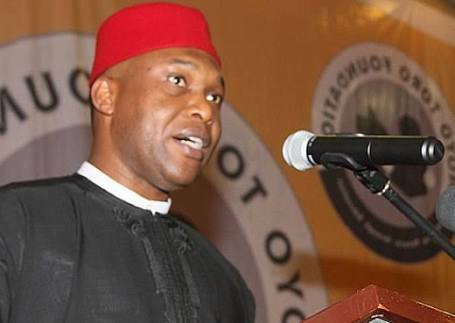 Frontline contender in the November 18, 2017 Anambra governorship election, Chief Osita Chidoka has received correspondences from the Anambra State working committee of the United Progressive Party (UPP), recanting on the controversial and unlawful suspension order as well as apologising for the embarrassment the episode caused the party. Chief Chidoka by this, called on all members of the UPP, especially delegates to the governorship primaries, to put what he called the unfortunate and distracting episode behind them and continue to work hard. He said nothing whatsoever can stop the people of Anambra state from reclaiming their state through UPP’s determined goal of winning the governorship election. Chief Chidoka said he believed that while those who fuelled the now resolved issue had aimed at using such to scuttle the August 19, 2017 governorship primaries, the UPP, as a focused party has overcome its adversaries and now heading to win the main election come November 18th. Chief Chidoka gave the comment in a statement issued media on Friday through his Media Campaign Director, Viola Ifeyinwa Okolie. According to the statement, “We are not unaware of plots being hatched by these foes of Anambra state to destabilize our party and attempt to manipulate the mandate of the people in this election. But we know that Ndi Anambra have made up their minds to join forces with the UPP to free our state from the shackles of the oppressive few. “On this score, Chief Chidoka beckons on all the people of Anambra state, his teeming supporters and army of volunteers in the 326 electoral wards across the state to continue to work hard to ensure that no space is left uncovered in our grassroot mobilization effort. The statement also said that Chief Osita Chidoka Campaign expresses confidence that the delegates to the governorship primaries are very dedicated party men and women who are not swayed by sentiments but would vote for a candidate who has shown practical commitment and boldness in protecting and projecting the cause of the UPP. It also said that the delegates would vote for an aspirant who would protect the interests of the southeast in general; and who also has that functional and formidable grassroot electoral structure needed to win the November 18, 2017governorship election.